BURNLEY had some impressive messages of support at the special gala dinner at Turf Moor on Friday. More than 500 people attended the event in a specially constructed marquee in the Turf Moor leisure centre. And between them, they helped raise well over 50,000 to boost the Turf Moor coffers. While there was some disappointment that Manchester United manager Sir Alex Ferguson was unable to attend, as he was under doctors orders, that was tempered by the arrival of World Cup winner Sir Bobby Charlton. He joined Alastair Campbell at the top table, and both made speeches imploring fans to get right behind the club in their hour of need. And their speeches were backed up by messages of support from Prime Minister Tony Blair, former Premier Jim Callaghan, ex-Labour leaders Neil Kinnock and Michael Foot, and former acting leader Margaret Beckett, who all sent personal messages of support to Burnley Football Clubs fundraising dinner. The five personally written letters were presented to the club chairman, Barry Kilby, by Burnley supporter Campbell, Mr Blairs former Director of Communications and Strategy,on Fridaynight. And while Mr Campbell admitted that it was his idea to approach the five, he said he could not be accused of writing the letters, pointing to the Prime Ministers handwritten PS which said: Im glad that Alastair has finally found something useful to do with his life. But Mr Blair also found time to wish the club every success in its efforts to stave off administration. Lord Callaghan expressed similar sentiments, and said he knew how much Burnley FC meant to the community. Mr Kinnock, who has been to several Burnley matches with Mr Campbell and never seen them lose, said he hoped the current fundraising drive would help to build a better future to match the clubs glorious past. And Michael Foot said he looked forward to seeing the Clarets play at Plymouth Argyle next year. Speaking to the dinner on Friday night, Mr Campbell said that Burnley was a club that had passionate support in the community, and that also people throughout football and many other walks of life had both fondness and respect for the club. 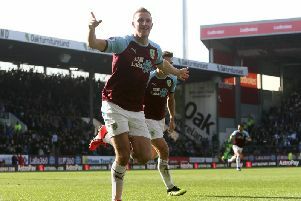 He urged those attending the dinner, and a fundraising lunch earlier in the day, to join the 500 Miles Club at Turf Moor and help Burnley's fight for survival. Mr Campbell said: This club means an awful lot to many people. It has given me personally some of the best and worst moments of my life. But we know from the Orient game what it is like to stare oblivion in the face. Strength, commitment and a community spirit helped us then and can do so again. This is a great community club and the whole community should pull together at what is clearly a difficult time. An auction on the night raised almost 25,000 to add to the bid to stave off administration, and set the club on a firmer financial footing for next season and beyond. Paying guests at the dinner, which was also attended by Sports Minister Richard Caborn MP, were greeted with a champagne reception, and the event sponsored by Lexus of Manchester and Bolton proved to be another resounding hit for the Turf Moor club. The Sports Minister summed up the mood on the night by saying: I wanted to express my support for the club at this difficult time. Burnley is one of the great names in football history and I know the whole sports community will wish the club well. The gala dinner was preceded by a business lunch and seminar attended by almost 150 people. Campbell who raised money with a cash for questions session was joined by business motivation expert Mike Ford.